The ability to bring electric lights and appliances with you while traveling is one of the more important benefits of an RV. 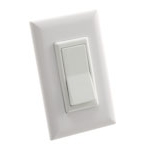 We aim to supply you with everything you need to make sure that your electrical outlets and light switches match your preferences and are discreet. Our selection of switches can help you customize the interior of your RV, providing both a functional and aesthetic benefit. 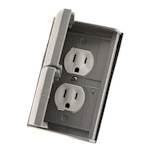 You can choose from among our receptacles in order to house your electrical outlets in a subtle manner which doesn’t detract from the appearance of the interior.